Sarah Paulson's been on our screens for the better part of two decades, but her most recent role as prosecutor Marcia Clark on The People v. O. J. Simpson catapulted her from a Ryan Murphy muse to a household name. Between that and her role as the ex-lover and closest friend of Cate Blanchett​ in the Oscar-nominated lesbian drama Carol, she's had a pretty huge year. Not that we're suprised—she's a phenomenal actress and her roles are always on point (Martha Marcy May Marlene, anyone?). 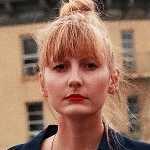 But let's reflect for a minute on her frequent and seldom heralded co-star, deserving of their own nod: her cigarettes. 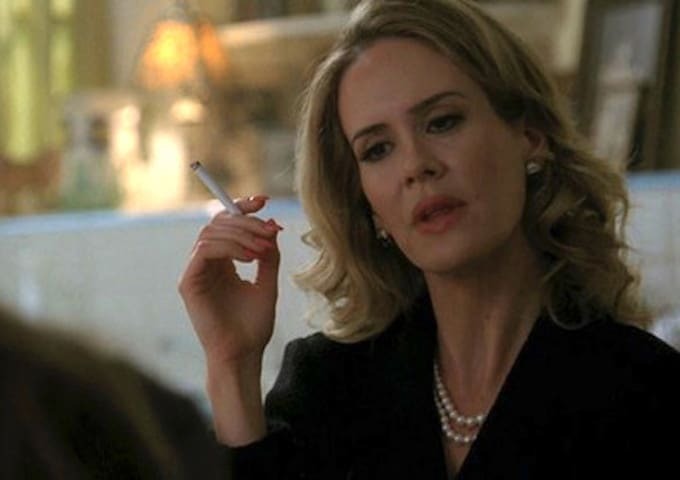 For the last few years, Paulson's roles have always had her flicking a cigarette, without fail. She's smoked like a goddamn chimney in four out of five seasons of American Horror Story—as different characters, mind you—and she's still smoking her lungs off in AHS's anthology cousin American Crime Story: The People v. O. J. Simpson. But it's not just Murphy who's got her taking drags—directors Peyton Reed (Down With Love) and Todd Haynes (Carol) had her on that cigarette tip as well. Smoking is garbage and nicotine is poison but I'll be damned if Paulson doesn't look great doing it. In celebration of tonight's American Crime Story, the most Paulson-centric episode yet, behold: an unofficial catalog of Sarah's on-screen smoking.